On June 20, 2009, Silk Road Dance Company (SRDC) presented my new full-length, Bollywood-themed dance concert at Harmony Hall. The term ”Bollywood” refers to India’s enormous Hindi-language film industry that is located in Bombay (now known as ”Mumbai.”) Although Bollywood choreographies originally drew from Indian classical and folk dance, other genres like jazz, hip hop, and even belly dance have recently entered the mix. Bollywood movies have an innocent optimism, an infectious charm, and an unabashed sense of melodrama that paints the world in bright colors — just like the old Hollywood musicals of the Depression years. After watching countless Indian films, I made my first stab at creating Bollywood style movements – for one of my Joy of Motion dance classes – in 2003. This was extremely audacious since I am not an Indian dance specialist, but the Hollywood flavor of the choreographies was familiar ground. My students loved the experiment, and enjoyed the idea of a Bollywood choreography. My first full Bollywood choreography, with over 50 dancers, set to the song “Aa Tayar Hoja” from the movie Asoka, became the finale of my 2003 student concert at the Publick Playhouse in Cheverly, Maryland, and got a great audience response. Since then I have created nine Bollwood inspired choreographies and most of them will be in our June 20th concert. This concert pays homage to Bollywood by visiting some of the subjects most common in Indian film choreographies. Our selections, set to compelling music from beloved films including Lagaan, Asoka, Bombay, Bride and Prejudice, and Slumdog Millionaire, should strike a familiar chord with Bollywood film fans. 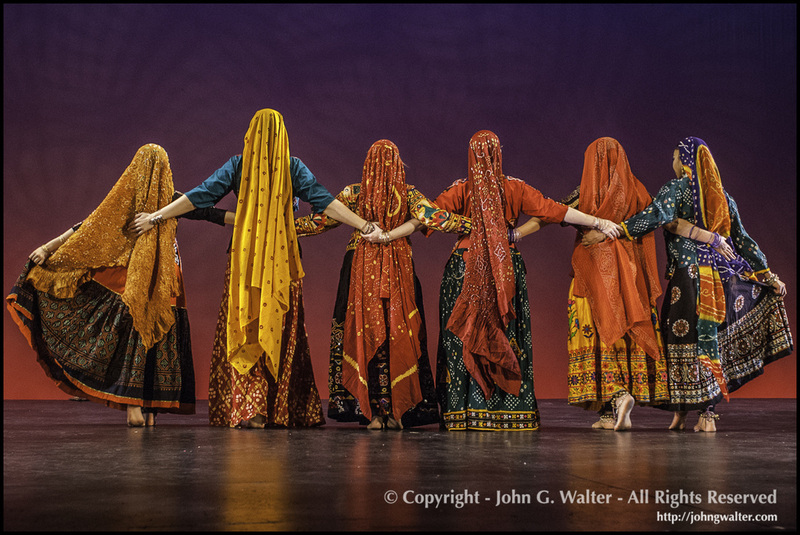 Over the years, my company and I have benefited from artistic collaborations with members of the Virginia-based Indian Dance Educators Association (IDEA). IDEA teachers, including Jayantee Paine-Ganguly, Christel Stevens and Asha Vattikuti have been very generous with their time and expertise. In this concert we will be joined by Jayantee Paine-Ganguly and her advanced Kathak students. Jayantee’s participation will introduce the audience to classical Indian dance, taking them beyond Bollywood. It may remind audiences of those great, old film scenes that utilize strong elements from Kathak dance. Some classical Indian dance professionals actually look down on Bollywood dance because it is a degradation of the elegant, classical styles. (And it is.) I understand their position, because I sometimes feel the same way about the misrepresentation of traditional Arabic dance, including belly dance, by Western performers and the media. At the same time, Bollywood dance has an endearing appeal, and in these times of woe anything that brings people together to dance with shared joy should be celebrated. Some of us will have to wait for our next incarnation to devote our lives to the serious study of classical Indian dance. In the meanwhile, we can enjoy dancing to lively Bollywood tunes in beautiful costumes and maybe, just maybe, learn a little more about Indian culture — like Hindi song lyrics! Perhaps the popularity of Bollywood resonates with our desire for tribal identity, our dreams of a global village where everyone miraculously knows the same songs and dances. After all, Bollywood is a community-oriented phenomenon. In Bollywood films, dance is typically performed with friends, family, neighbors — and even complete strangers. As a costume designer, my challenge for this concert has been to create different color palettes and costume styles for each piece, aiming overall to recreate the opulence and glamour of Bollywood films. I hope that exposure to an evening of Indian color sense will convince the audience that, of course, purple and red really do go together – just like saffron and magenta, parrot green and scarlet, hot pink and orange…. One of SRDC’s favorite guest artists, Ahmad Maaty, will once again team up with the company, as will members of Ensemble Mumtaz and the Good Karma Bollywood Dance Team. Actress Catherine Frels will serve as the charming Mistress of Ceremonies, guiding the audience through the intricacies of Bollywood plot conventions. Choreographic highlights will include a Rajastani folk dance, a visit to a magical temple, a candlelight ritual and — of course — a wedding party! But just like in the movies, there are many obstacles along our silken road to Bollywood. Will this concert all come together in time? Will the protagonists find love and happiness — and a red lengha choli set? The only way to find out is to join us on June 20th. An internationally acclaimed dancer, scholar, educator, and choreographer, Laurel Victoria Gray is the Artistic Director of Washington DC’s award-winning Silk Road Dance Company (SRDC). 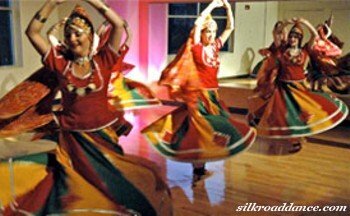 Founded in 1995, SRDC specializes in traditional women’s dance from Silk Road cultures and the Islamic World. In 2007, Uzbekistan’s Ministry of Culture awarded Gray was awarded an honorary doctorate for her pioneering work in bringing Central Asian dance to the West. She is also the recepient of the Metro DC Dance Award (2006) for Excellence in Costume Design; the Distinguished Service Award from the Embassy of Uzbekistan (2005); the Kennedy Center Local Dance Commissioning Project Award (2003); and the International Academy of Middle Eastern Dance (IAMED) Awards for Best Choreographer (2003) and Best Ethnic Dancer (1999). Gray’s scholarly articles have appeared in many publications including the Oxford University Press International Encyclopedia of Dance, the World Encyclopedia of Contemporary Theater, the Encyclopedia of Modern Asia, the Encyclopedia of Women in Islamic Culture as well as Dance magazine and foreign journals. In 1984, she founded the Uzbek Dance and Culture Society and in 1994 established the annual Central Asian Dance Camp. Gray has taught “Dances of the Middle East” at George Washington University and George Mason University.